Suspending flies beneath an indicator is stillwater presentation staple. Strike indicators allow you to control two critical variables, depth and retrieve speed. 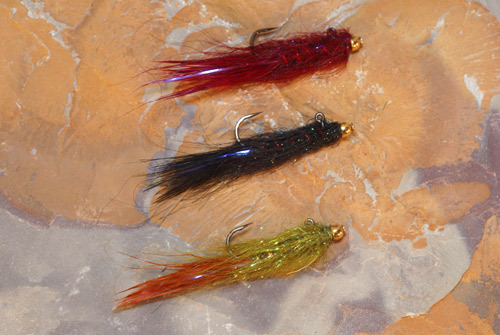 When fish are in a dour state or foraging in shallow areas the tantalizing dance of a dangled fly is tough to resist. The challenge with most flies, with the exception of chironomid pupa patterns, is the unnatural vertical manner in which they hang. Most stillwater prey moves horizontally. Spokane Washington fly fisher Jerry McBride recognized this failing developing the balancing techniques my Balanced Leech is based upon. 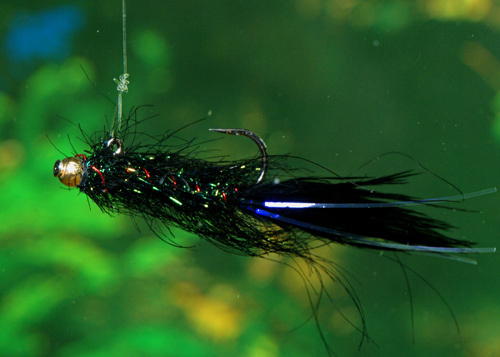 The Balanced Leech uses a tungsten bead, secured to a common sewing pin that is in turn lashed to an up-eye jig hook. The tungsten bead is positioned just forward of the hook eye so the mass of the bead equals the weight of the hook bend and point. The net result is a fly that hangs point up in a natural horizontal fashion. Standard shank hooks also work. Just be careful not to obscure the hook eye when tying the pattern onto the ‘balanced’ chassis. I prefer up eye jig hooks as the hook eye remains clear. Tying the fly onto your tippet using a Non-Slip Loop Knot is a breeze.